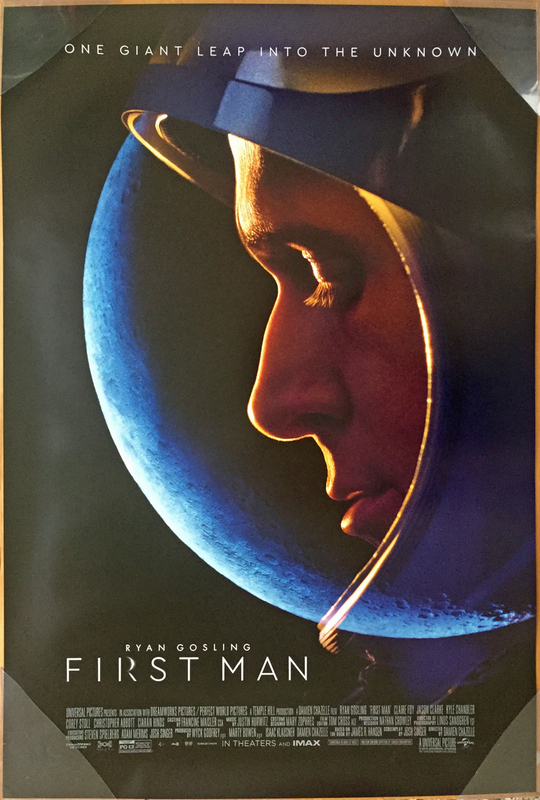 This is an auction for a BRAND NEW/UNUSED Near Mint condition Double Sided ORIGINAL US 1 sheet poster for the movie FIRST MAN. Directed by DAMIEN CHAZELLE; Starring RYAN GOSLING, CLAIRE FOY, JASON CLARKE, PABLO SCHREIBER and COREY STOLL. The poster measures 27 x 40 and its a guaranteed Original poster.